Amin Rupani (Cook County Sheriff’s Office Photo). Amin Rupani, 40, of the 2600 block of Salix Circle in Naperville, has been charged with unlawful possession of a controlled substance, Cook County Sheriff Thomas J. Dart announced Monday. He was arrested at his successful computer business, Precision Technologies, located on the 1500 block of Midway Court, in Elk Grove Village. The Cook County Sheriff’s Police Special Operations Unit began its investigation into Rupani’s activities after the U.S. Food and Drug Administration, along with the U.S. Customs and Border Patrol, detained a package containing counterfeit Valium pills. The 20,000 pills packed inside plastic containers had Rupani’s business address, but a fake name. On December 9th, CCSO investigators, along with agents from the USFDA and the U.S. Postal Service, wired the Valium package with a monitoring and tracking device and conducted a controlled delivery to Rupani’s office. When officers received a radio transmission signal that the package had been opened, they entered the business and placed Rupani under arrest. Rupani told investigators he received the packages from a friend who lives in Karachi, Pakistan, and that he was told the pills were vitamins and weight loss drugs. Forensic tests of the seized pills show they contain the active ingredient in Valium, but they were manufactured by a criminal enterprise in China. The estimated street value of the drugs is $200,000. Rupani admitted he forwarded the packages sent by his co-conspirator to addresses in Texas and California on a regular basis, using his company’s UPS account. After a search of Rupani’s business, officers also recovered nine plastic bags containing an estimated 20,000 light green triangular pills, suspected counterfeit Xanax, and a box of diet pills. Bond has been set at $30,000 for the west suburban man found in possession of thousands of counterfeit Valium pills. 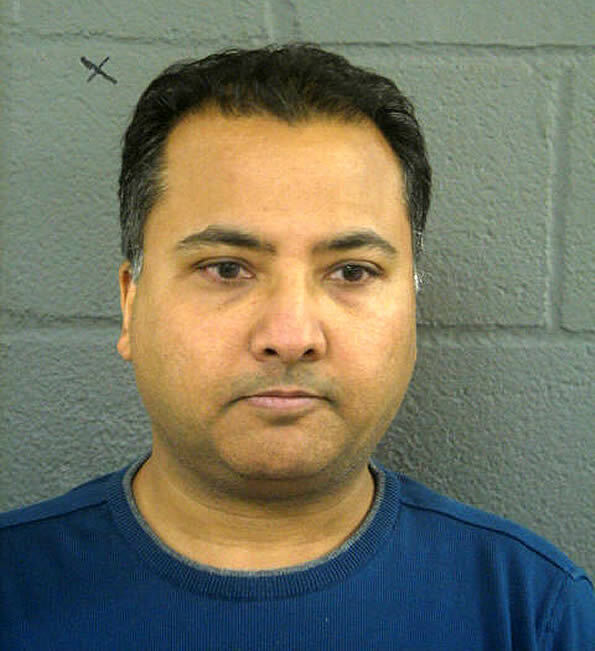 Amin Rupani’s next court date is February 3rd, 2011 in Rolling Meadows. Google map entry for Precision Technologies, 1500 Midway Ct. Elk Grove Village.